Please leave the name (or names) you would like, and the corresponding birth month next to it. 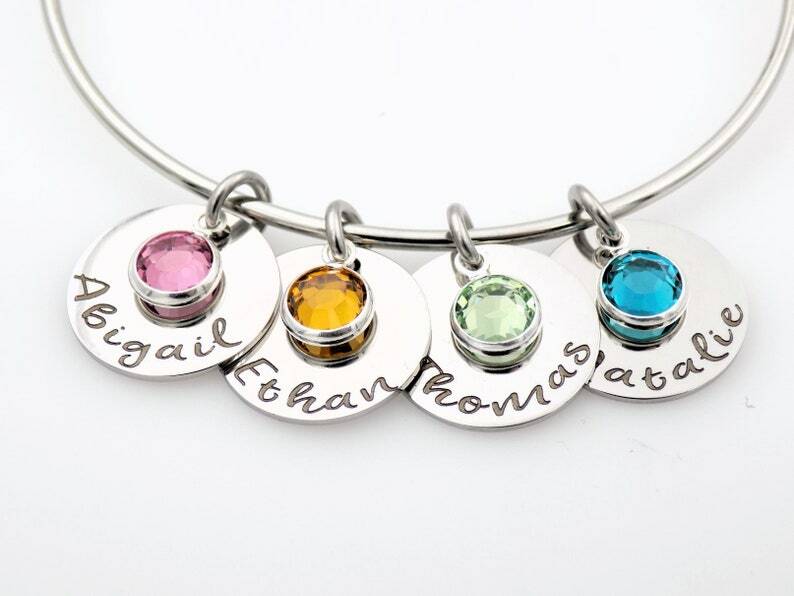 Personalize this bangle with birthstones and names of your choice. We can add as few or many charms as you want (please select from the drop down menu). Please leave the names and birthstone selections in your checkout notes. Birthstone Choices are as follows, Jan, Feb, March, April, May, June, July, Aug, Sept, Oct, Nov, and Dec.